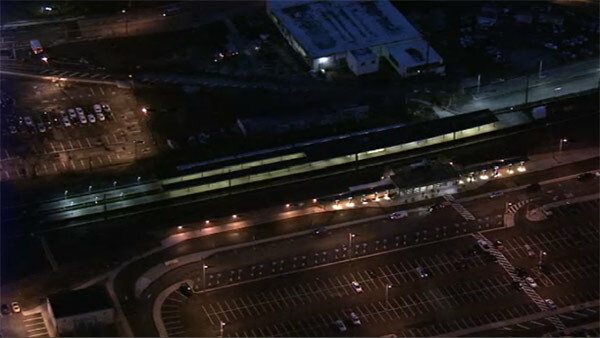 CAMDEN, N.J. -- A commuter train heading from New Jersey to Philadelphia hit part of a downed utility pole during the morning rush, halting service and leaving thousands of commuters scrambling to get to work. The Port Authority Transit Corporation train carrying 24 passengers hit the pole around 5:45 a.m. Monday in Camden, and service was completely shut down for more than three hours. Four minor injuries were reported. Limited train service on a section of the line between Camden and Philadelphia around 8:45 a.m. The 14-mile line serves about 38,000 riders daily.